Within the context of non-parametric Bayesian inference, Dykstra and Laud (1981) define an extended gamma (EG) process and use it as a prior on increasing hazard rates. The attractive features of the extended gamma (EG) process, among them its capability to index distribution functions that are absolutely continuous, are offset by the intractable nature of the computation that needs to be performed. Sampling based approaches such as the Gibbs Sampler can alleviate these difficulties but the EG processes then give rise to the problem of efficient random variate generation from a class of distributions called D-distributions. 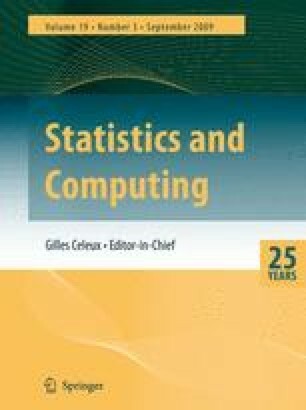 In this paper, we describe a novel technique for sampling from such distributions, thereby providing an efficient computation procedure for non-parametric Bayesian inference with a rich class of priors for hazard rates.